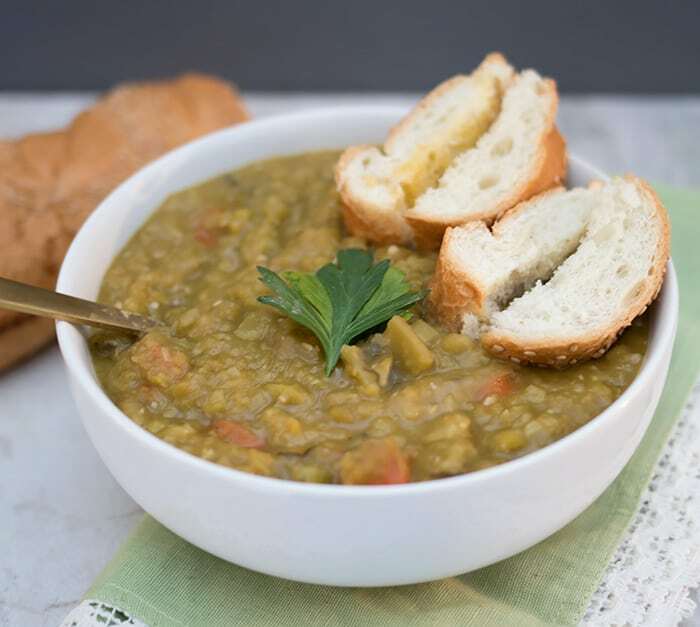 There’s something a hearty soup in the winter that just hits the spot! 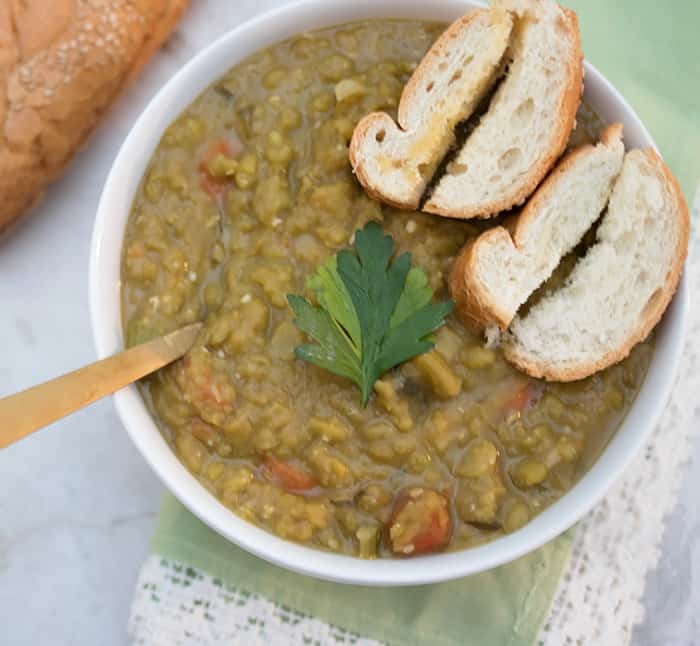 It snowed about 12 inches today so I knew it was the perfect time to make one of my favorites- slow cooker vegan split pea soup. My love affair with the slow cooker has been well documented on this blog. Seriously, is there anything better than pouring some ingredients into a pot and getting a delicious meal…with no effort??? 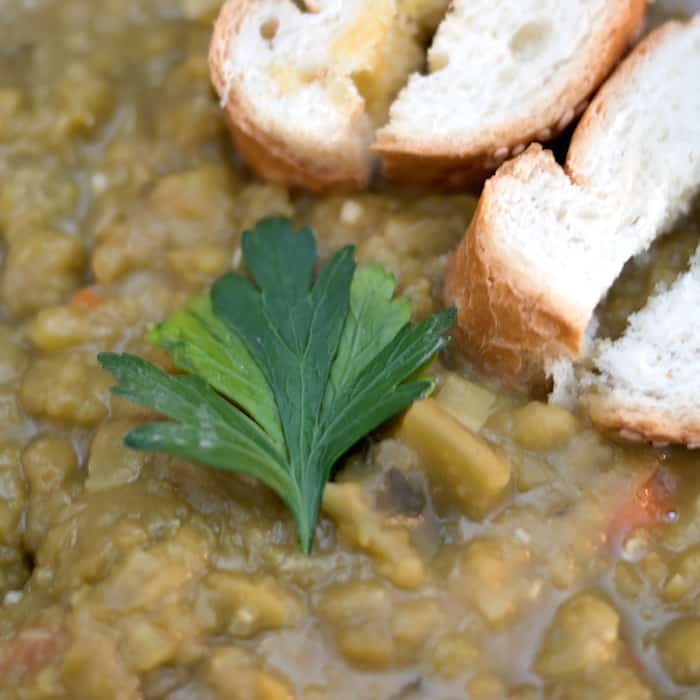 This split pea soup is hearty, healthy and delicious! It feels like the perfect detox meal after the last few weeks of over-indulging. There’s plenty for sharing, and leftovers!